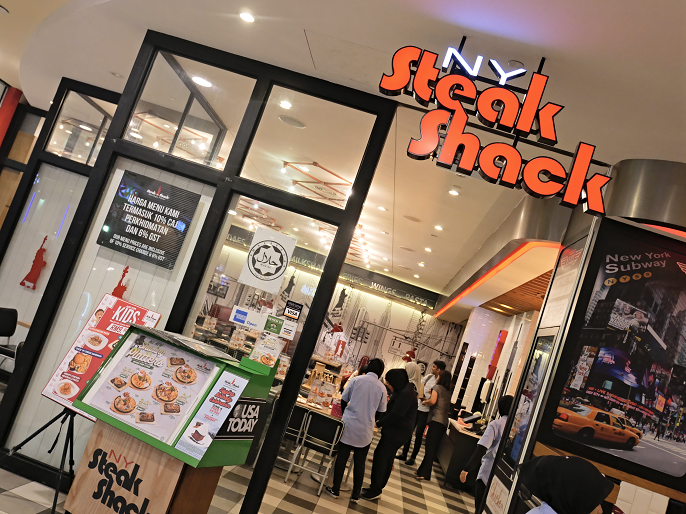 NY Steak Shack is a western restaurant that remind me of a similar restaurant chain back in the USA. The interior design and the casual environment look similar and the memory bring me back to my time in Michigan. I have been to NY Steak Shack for a few times with my friends and families. 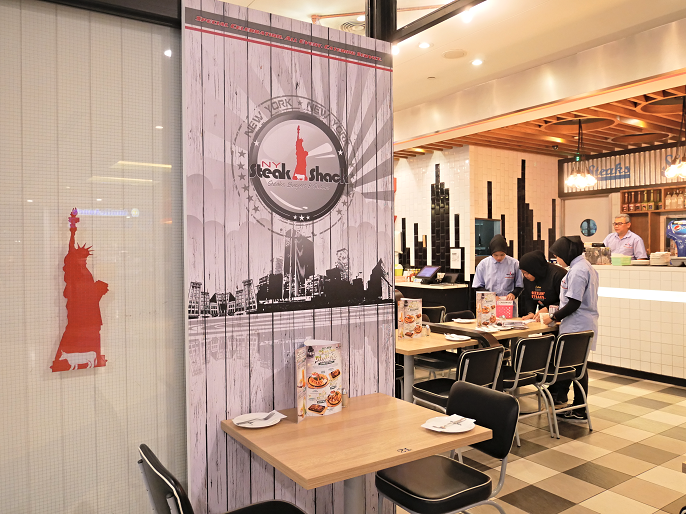 My first impression about NY Steak Shack is it gives variety of food choices and also the food are beyond expectations in the way of it tastes, pricing, and also the ambiance which inspired by NY City. Honestly, I am pretty satisfy with their food quality with the pricing they set on their meal, and probably that explains why I have visiting this restaurant for several times. 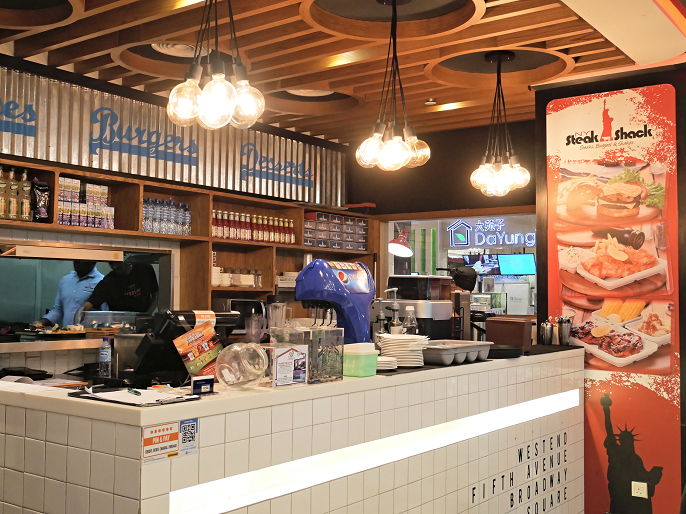 Overall, I would say the restaurant is a mid-range western restaurant in Klang Valley. New York City is a home to hundreds of different cultures which makes the city so lively and special. The city is well known for its variety of ethnic, cuisines, great restaurants and the ability to find any kind of food at any hour of the day. That's the idea that NY Steak Shack wants to bring out to their customers. 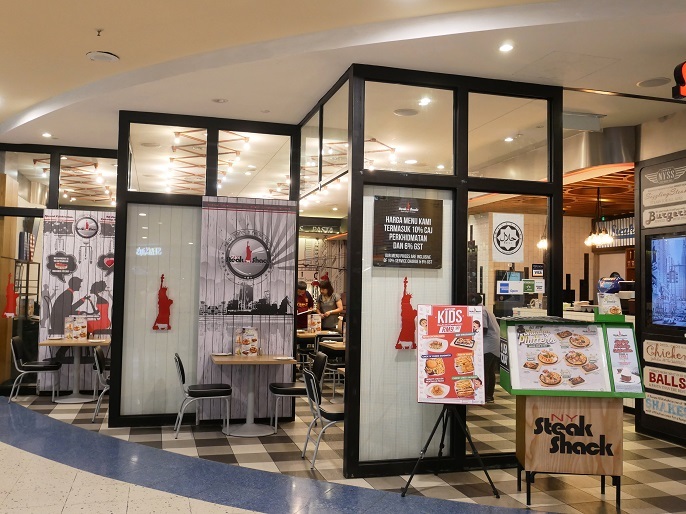 In the NY Steak Shack, there are a lot more to offer to satisfy your cravings such as steaks, burgers and shakes, variety of sizzling steaks, burgers, chicken, fish and pasta that freshly made to order. 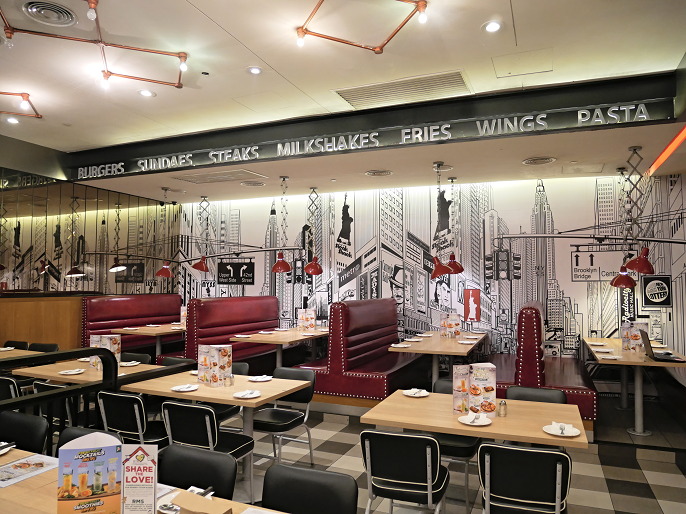 The interior and exterior of NY Steak Shack have a retro vibe with theme colours of red and black.. When stepping into the restaurant, the rustic yet elegant atmosphere gives customers a peek into classic American heritage. That icon of the Statue of Liberty makes me miss the old days in the New York City! 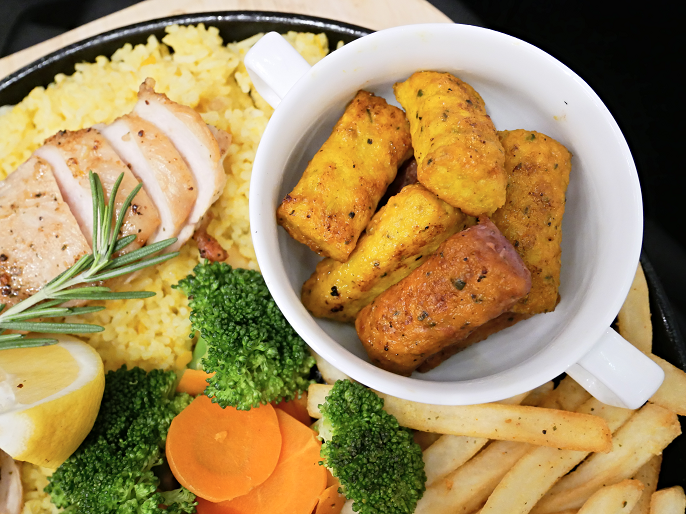 Like the phrase "Shared Joy is Double Joy", NY-city inspired fast casual restaurant is introducing total four amazing platters in it's latest "All New Sharing Platters" menu lately. 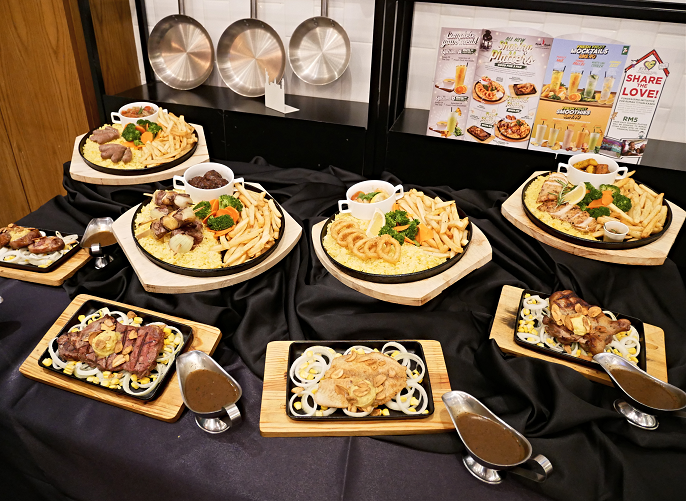 The four different platters include the seafood platter, beef platter, poultry platter, and lamb platter. 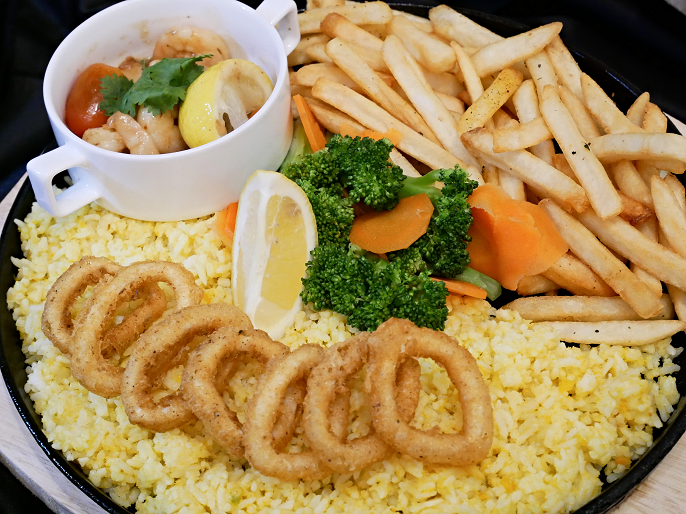 All of the Sharing Platters are complemented with pumpkin rice, french fries, mixed vegetables, while the single sizzling platters come with their in-house brown sauce, and topped with fried garlic, onions and corn kenel. 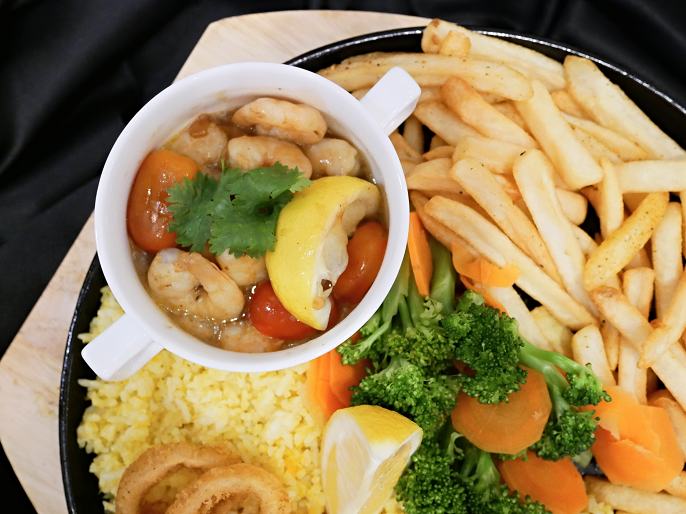 Seafood lover will surely enjoy the Seafood Platter @ RM89.90 which consists of an authentic blend of fried calamari along with Garlic Shrimps on the side. 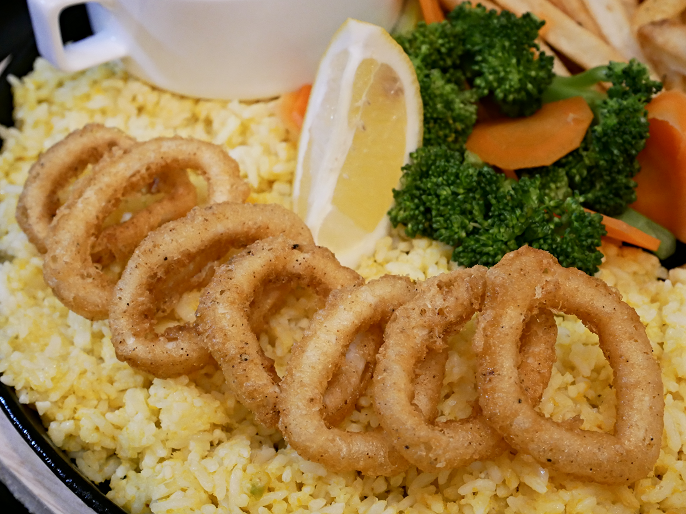 The fried calamari has a super crispy batter, and fried to a golden brown crunch! 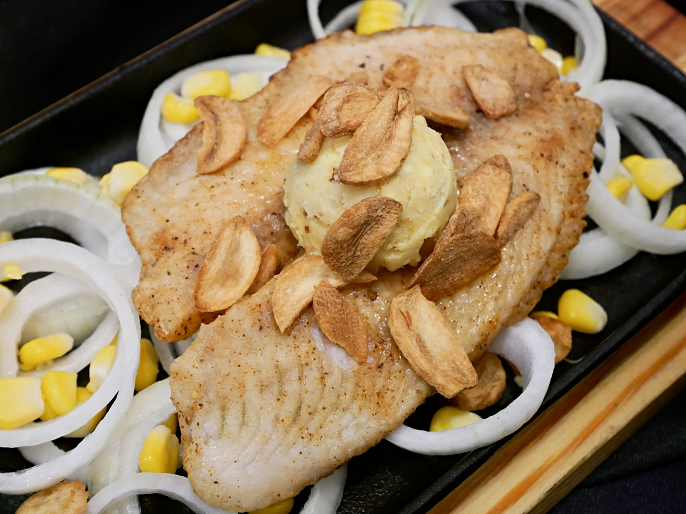 If you love fish, you must try the Sizzling Emerald Fish @ RM89.90 (200gms). The fish was nicely cooked and with super soft meat texture. 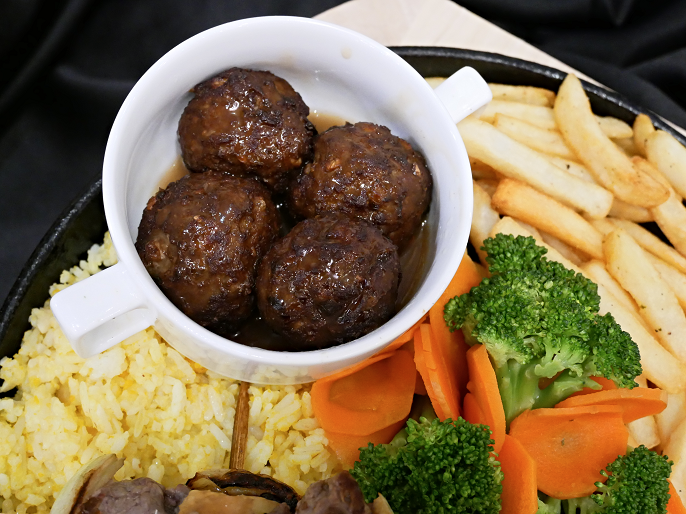 It's more flavorous when it drenched in their in-house brown sauce on the hot plate! 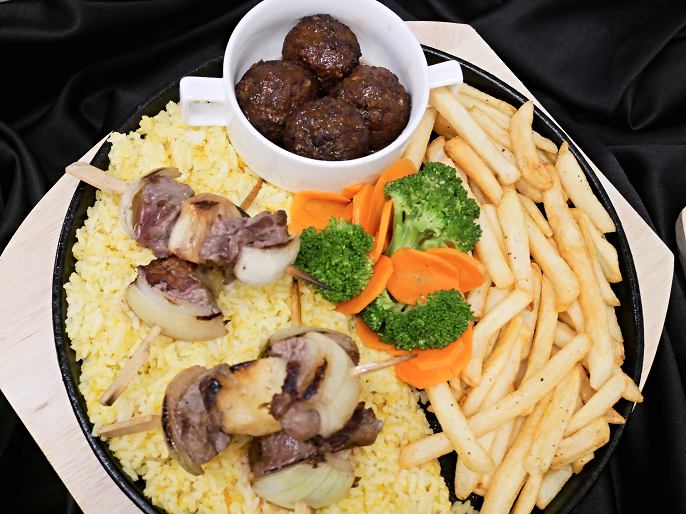 For those who love red meat, you can have a try on the Beef Platter @ RM99.90, consists of beef tenderloin skewer that cooked to perfection along with beef meatballs as a side dish. 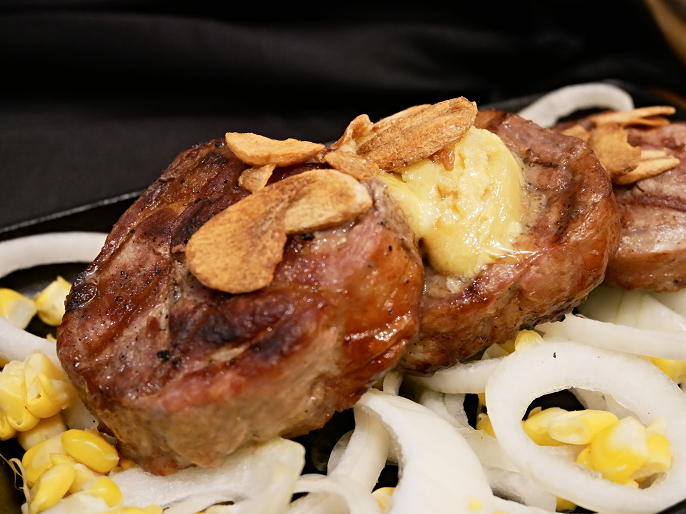 The beef has a sweet and tangy flavour from the marinade which pairs perfectly with the fresh pineapple and onion. 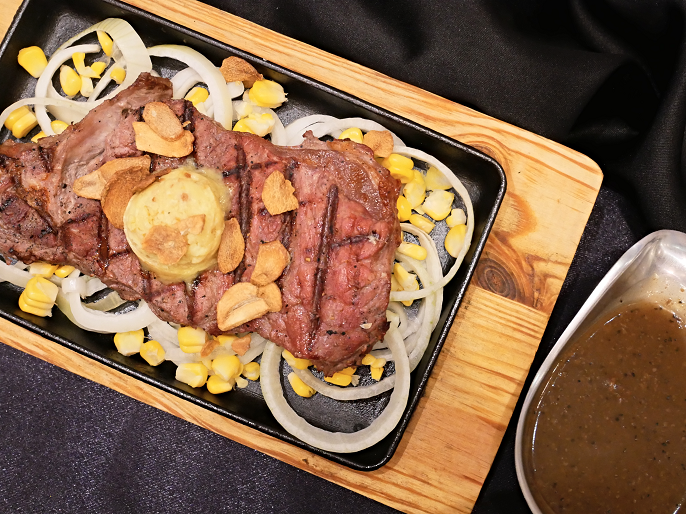 Another beef selection to satisfy your beef cravings is the NYSS's Signature Sizzling NY Striploin @ RM99.90. 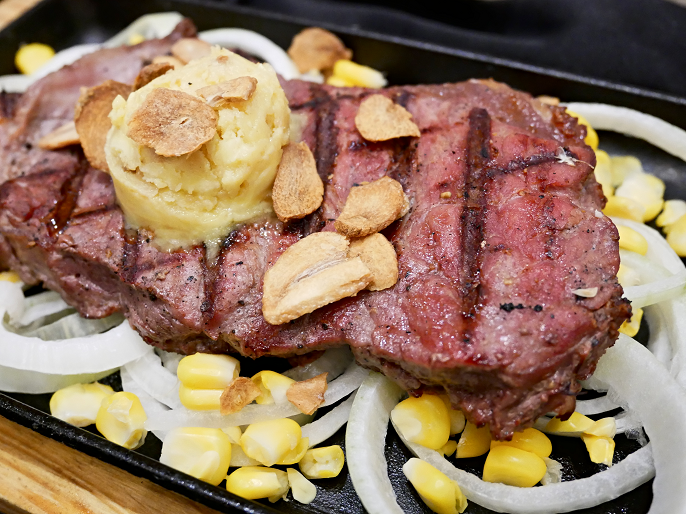 The striploin steak has a good presentation, flavour and texture which certainly a perfect treat to comfort your beef cravings. 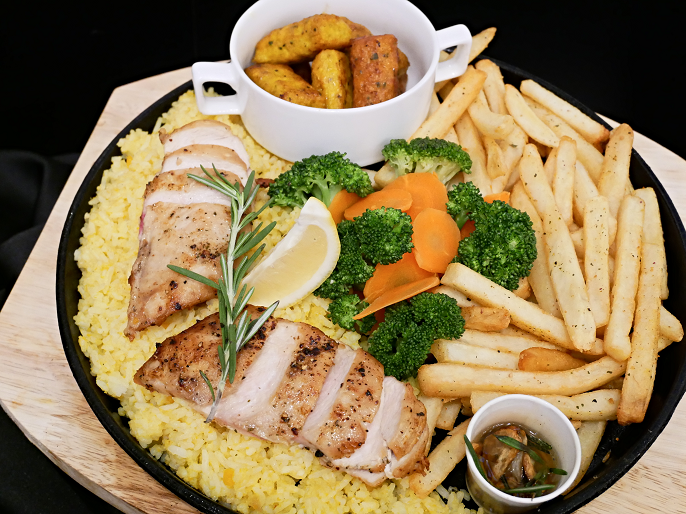 On the other hand, the Poultry Platter @ RM 89.90 features the Rosemary Chicken which is perfect for sharing. I enjoy the meat by squeezing a little fresh lemon on top at the serving. 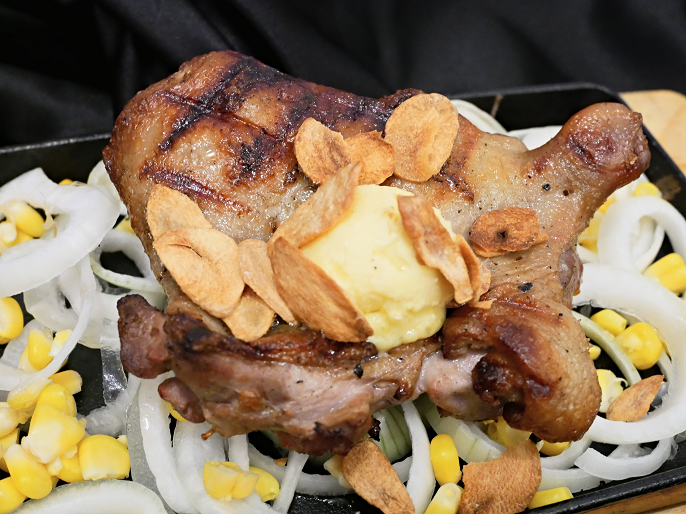 Highly recommend the unique recipe of the Sizzling Duck Chop @ RM89.90 from the single platter menu. The duck breast comes in a smaller size and has a thinner skin.. 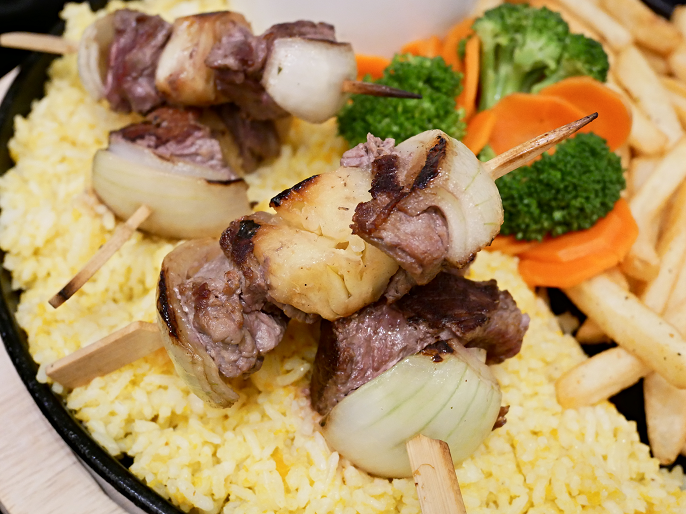 It is marinated in a flavourful sauce, and the meat remains so juicy and tender on the sizzling hot plate. 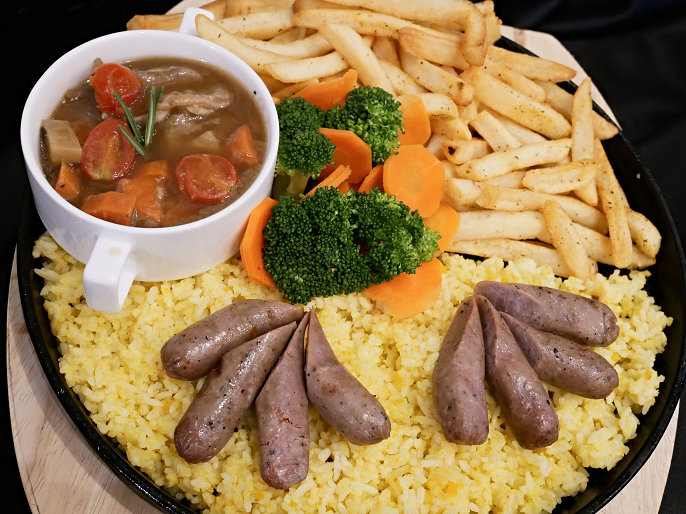 The amazing Lamb Platter @ RM99.90 features a combination of lamb sausage along with lamb stew. Outside of the lamb sausage is crispy and tight while the inside is juicy, soft and very flavourful. I like the lamb stew the most because it is rich of all my favourite potatoes, carrots and tomatoes. 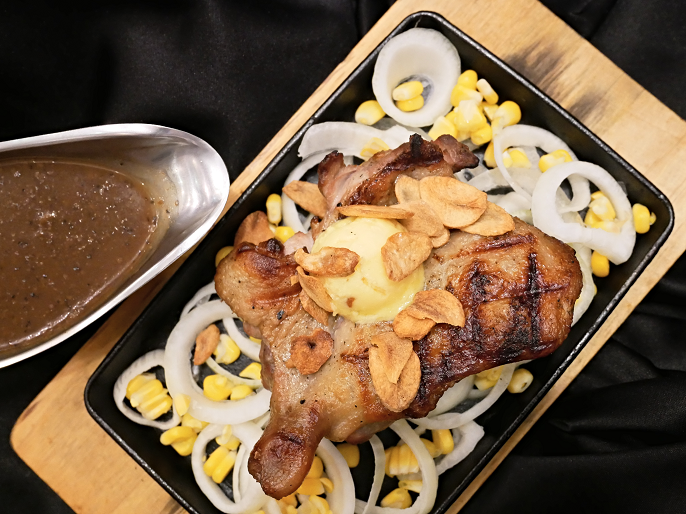 Sizzling Lamb Noisette @ RM89.90 has a well seasoned flavour, a crispy texture as well as crust around the edges. It is one of my most favourite dish from the single platter menu too! To enhance your dining experience with all the new sharing platters, NY Steak Shack also launched the refreshing Fresh Fruit Mocktails @ RM8.90 comprising the Lemonade Zest, Minty Lime Cooler, Orange Breeze and the Perfect Mix. 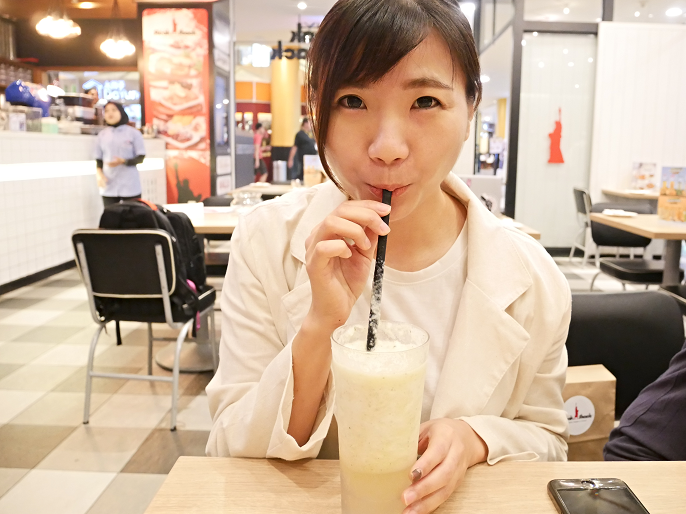 For those who are on the sweeter-side, there are also the mouth-watering Fresh Fruit Smoothies to be enjoyed @ RM9.90 comprising of Banana Pineapple Lemonade, Red Apple, the Pineapple and Mind or the delicious all new Dates which is the latest offering in the smoothies range. All the new sharing platters menu is available from 14 may till 15 July 2018. On the other hand, in conjunction with the Ramadhan and Aidilfitri period, RM5 from every "All New Sharing Platters" menu purchased will be donated to Rumah Titian Kaseh. Also, a donation box will also be placed at all NY Steak Shack outlets as part of the fundraising initiative. The collection of the funds is solely for Rumah Titian Kaseh's financial support. 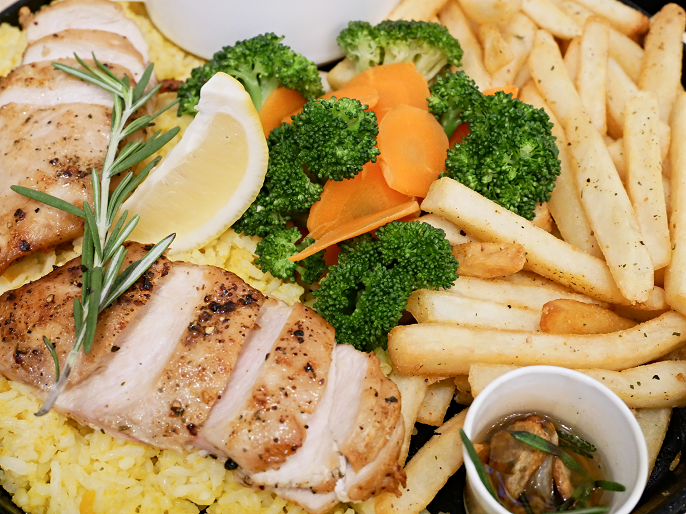 NY Steak Shack always strives to deliver the best to its guests and exceed their expectations with variety of succulent dishes. 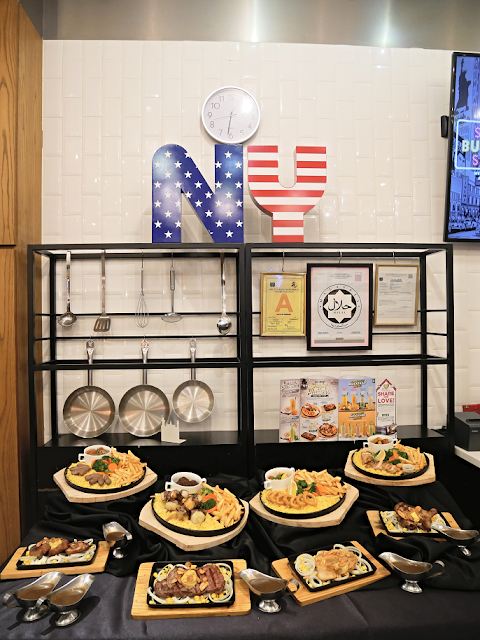 They believe that their NY-city inspired fast casual restaurant never fails to impress and diners can enjoy their meal with a cozy ambiance and friendly faces from their servers. 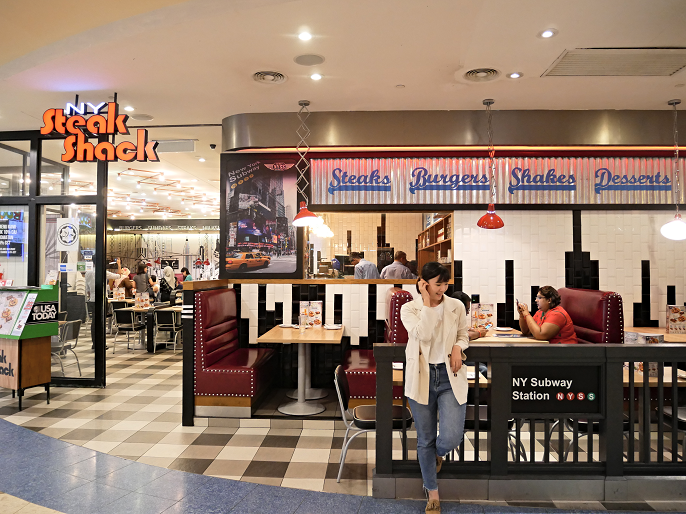 All food items served at NY Steak Shack are HALAL certified. 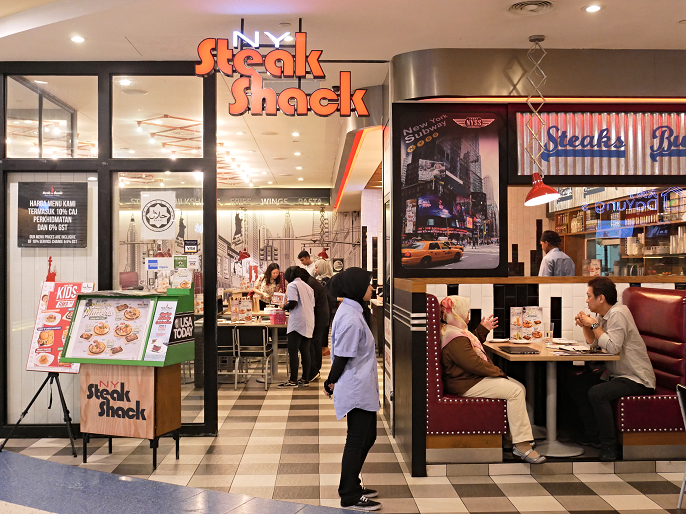 There are total 10 NY Steak Shack outlets in Malaysia, which respectively located at Mid Valley, Sunway Pyramid, IOI City Mall, 1 Utama, Subang Parade, AEON Shah Alam, Sunway Velocity Mall, SOGO, Alamanda, and Melawati Mall. 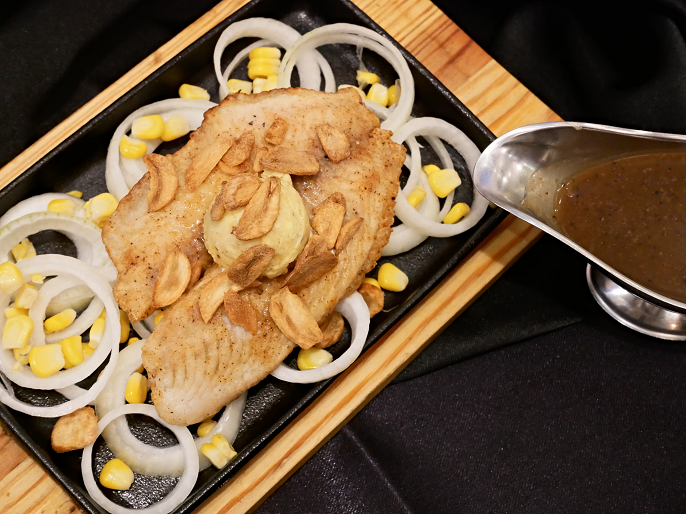 For more information, do check out their FB page at https://www.facebook.com/nysteakshackmy/.